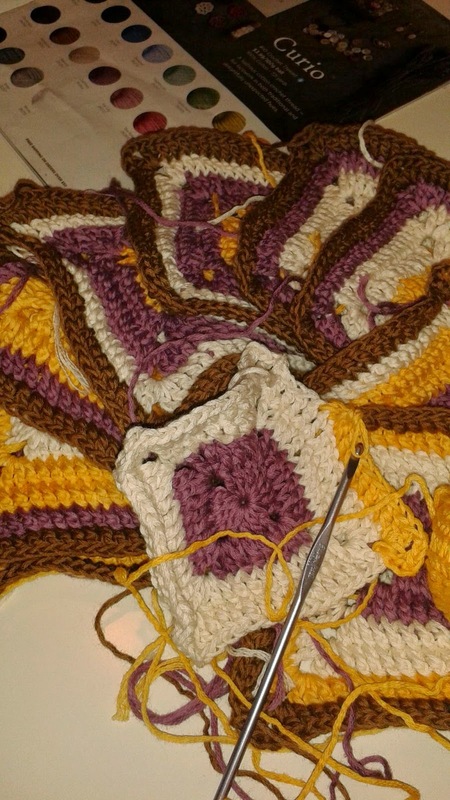 Only two and a half squares off, ends to weave in and strap to make for my glorious crochet granny square bag. Didn't realise its going to look like I went to LSU (one of my girl scout students pointed this out to me). I'm having to be super disciplined to stick to this project since I want to move onto the next one, or two or three! Keep spotting so many lovely inspirational things on highly distracting Twitter and Facebook.